ReSound was the first company ever to offer made-for-iPhone hearing aids supporting direct wireless streaming of music, phone calls and more. It was a game-changing innovation. The original ReSound LiNX hearing aids were immensely popular, so it's not surprising that competitors rushed to follow suite by launching their own own wireless hearing aids. ReSound, meanwhile didn't rest on its laurels or wait for the competition to catch up. Instead, the company created a second, third, and now fourth generation of LiNX hearing aids—each one better than the previous. LiNX Quattro hearing aids have kept everything great about LiNX 3D and added several enhancements—all designed to create a brilliant sound experience. ReSound promises clearer, fuller sound with LiNX Quattro for a richer listening experience. The LiNX Quattro also delivers improved wireless connectivity and longer battery life. The LiNX 3D product line already offered a fantastic user experience with a class-leading ecosystem of apps and wireless accessories. These hearing aids didn't need much of a makeover, but ReSound has done it anyway, making significant improvements in the just right areas to bring you the ReSound LiNX Quattro. From bustling streets to busy restaurants, follow conversations and still hear the other sounds going on around you. ReSound's new technology is designed to make it easier for listeners to focus on speech in noisy environments. With LiNX Quattro, low and high-pitched sounds are fuller and more natural. Quiet situations are truly quiet and louder sounds are comfortable, crisp and distortion-free. Children's laughter and the high notes and deep tones in music, are now fuller and more enjoyable. A new more powerful and more efficient processing platform lies at the heart LiNX Quattro. ReSound explains that the new platform delivers twice the memory, 100% more speed, and 30% more computational power. One result of the changes is a larger dynamic range and wider frequency response than previous models. This translates to more nuanced sound with increased clarity, especially for soft sounds, music, and speech in noise. Now you can Immerse yourself in full-quality stereo streaming from your mobile phone, TV and other audio sources without draining your batteries in double-time. A new power-saving wireless radio gives LiNX Quattro a boost in signal strength while reducing power consumption by 20%. The hearing aids are compatible with ReSound's entire ecosystem of wireless accessories. And now, ReSound LiNX Quattro rechargeable hearing aids feature completely sealed lithium-ion batteries for long-lasting power in a small and discreet size. The use of an inductive charging system means that placing your hearing aids in the case is all it takes to recharge them. The portable charging case delivers a full charge in less than three hours, providing more than a full day of hearing. In addition, the charger holds enough reserve for three more full charges, even when you are off the grid. You want made-for-iPhone hearing aids with reliable, premium-quality audio streaming and an advanced rechargeable solution. 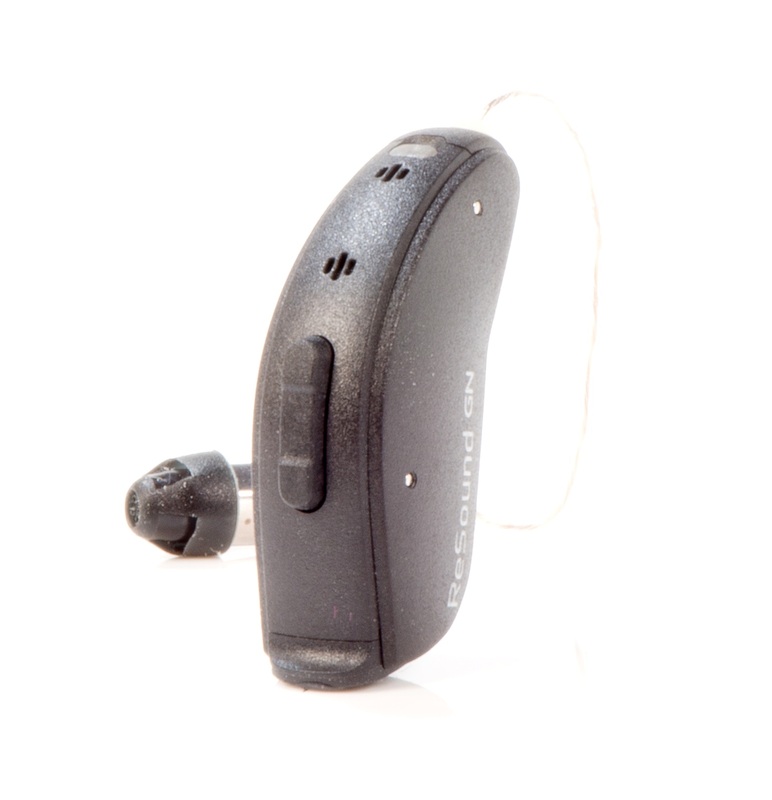 Other hearing aids you have tried sound too noisy, even in a quiet environment. You're looking for a complete ecosystem of fully-featured apps and easy-to-use wireless accessories.